1970 - 1971 BI Hosted a Mexican buffet for members at BrookHollow Golf Club for 143 members. A benefit was held at Country Dinner Playhouse with proceeds going to the Granville C. Morton Cancer and Research Hospital. Members also donated money to help two BI hostesses with their work in the Nepal leper colony. 1971 - 1972 BI hosted the club at BrookHollow Golf Club with a Peruvian theme luncheon. Our benefit, chaired by Todie Lewis, was held in the Spring at the Barn Dinner Playhouse, which resulted in a donation of $4,000 to Granville C. Morton Cancer and Research Hospital. We were incorporated under Texas law to a non-profit organization. 1972 - HOU The Houston area chapter was formed in 1972 with Rachel Robinson Mandell as first president. We offered our time to local Braniff sales and earned our passes in addition to providing assistance to Braniff. 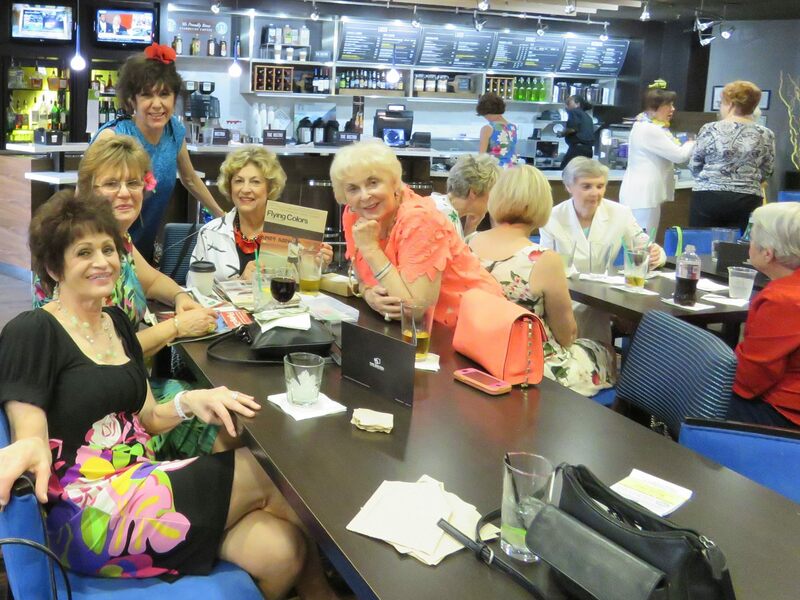 We hosted a reunion in 1989 at the Key Largo Hotel in Galveston. Tram Tours offered all a view of the Strand, the old opera house and the tall ship "Elyssa". Many opted for a bus tour of NASA. While our membership holds at 23, we try to keep up with each other. (Contributed by Nancy Toy, President). 1972 - 1973 Nostalgia was the theme for the BI luncheon at the BrookHollow Golf Club, with members presenting a skit recalling "The Good Old Days". BI presented the club with a silver service in honor of our 25th Anniversary. The club donated gifts and clothes to needy children and families at Christmas. The benefit at Western Place, chaired by Shirley Thedford, netted $6,400 to buy 2 Sorvall automatic refrigerated centrifuge units for Granville C. Morton Cancer Hospital. Plaques will bear the club name. Wildlife Rescue/Rehabilitation in memory of Jan Henderson-Kiepfer, SAT President in 1987. 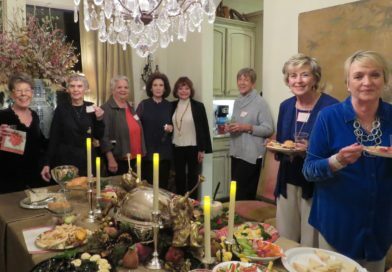 Our Chapter of 10 active members get together monthly for dinner and chit-chat. We volunteer for NOISA during "Fiesta Week". This supports the Historical Conservation Society and the Starving Artists Show. Their proceeds benefit the Little Church of La Villita's kitchen for the homeless. (Contributed by Jean Eldred Mitchell, President). 1973 - 1974 BI hosted the club with a Mexican theme luncheon, with Dallas Kiwis as participants. Our membership was now 250 members. BI's Sloan Simpson presented Acapulco fashions with members as models. Irving TARS, a teenage group, benefited from contributions to buy needed equipment. Needy families were helped at Christmas with food and clothing. 1974 - 1975 Clipped Bs were guests of BI at an Alaskan theme luncheon in celebration of new BI routes. A cookbook compiled by Clipped Bs which contained favorite recipes of members sold 2,000 copies. It was edited by Julie Smithwick Kidd, and enabled us to donate $5,450 to The Granville C. Morton Research Hospital. The money provided an Isco-Gradient Synthesizer and Analysis System to be used by the Department of Microbiology. In April, 100 members participated in a day long "Plant-In" at DFW, beautifying the grounds around the BI terminal. Marianne Gwinn, Eve Henger and Ann Ruff kept us digging. We had 250 members this year!! 1975 - 1976 The annual luncheon was hosted by BI in the Venetian Room at the Fairmont Hotel, presenting "The Texas Way". Braniff gave each attendee a copy of the Alexander Calder bicentennial poster. Members worked with the U.S. State Department to assist Vietnamese refugees and guide them through DFW as they made connections to other airlines. The second printing of the Clipped B cookbook "Stirring Moments" was a sellout and provided $7,000 for the Thelma Boston Home. Our Bicentennial party netted $5,000 for the Pilot Home for Girls. Our membership topped out at 269! 1976 - 1977 For fond memories, you couldn't beat our summer party in the Love Field Rotunda. Ah, nostalgia! Also, during the summer we provided funds to send the Collin County retarded children to the Texas Special Olympics in Austin. Braniff hosted our Fall luncheon for 271 members at the Registry Hotel, and displayed Alexander Calder's Bicentennial models. In December we helped the Flight Attendant Community Action program by preparing Christmas boxes for the needy. In February we housed and entertained 19 students from Argentina for a week. Our charity was Proyecto Huesteco ("Happy Smile"). Dr. Valentine Garcia, founder, takes medical teams to Xalapa, Mexico to perform cleft lip and palate operations on children. Dolores Olson, Nancy Crinnion, and Linda Stegall assisted the doctors. We raised $8,000 at our night of "Bach, Pop and Barbershop", which was held at the Great Hall in the Apparel Mart, chaired by Nancy Crinnion. 1977 - 1978 For the first time Braniff brought members from all chapters together for a luncheon at the BrookHollow Golf Club. It was a very special day. Our Spring style show/luncheon netted $2,800, which paid for construction work and furnishings for a teenage room at Children's Medical Center. This project was chaired by Merle Ireland. As an extra project, we gave $1,500 for a stained glass window at the Interfaith Chapel at DFW. 1978 - 1979 Braniff again included all chapters of the Clipped Bs for our Fall luncheon at the Marriott Hotel. President Russell Thayer announced the exciting new routes to Europe and the Far East. The Clipped Bs selected the American Diabetes Association as their charity and raised over $7,000 through the 3rd printing of the "Stirring Moments" cookbook under the leadership of Kaye Albright. 1979 - 1980 Our year included such diversified activities as a chili luncheon at Texas historian Frank X. Tolbert's Chili Parlor, a Christmas party at Elan, and a general luncheon hosted by Braniff for all chapters at Holiday Inn North DFW. Russell Thayer was again the principal speaker at this luncheon with a Far Eastern theme. We were happy to work closely with our sponsor, Tom King, in his newly formed Executive Assistant's program. We recorded an all-time high in charitable contributions to both the American Diabetes Association and the Jeanne Braniff Terrell Scholarship Fund, under project chair Gail Schwartz. 1980 - DEN The Rocky Mountain Chapter joined other Bs in 1980 with Paula Jamison Prentup as first president. We know we live in a wonderful area so it isn't surprising that we hosted two reunions. The one hosted January 1983 was the first annual Clipped B reunion - lots of snow in Vail that year and a good time had by all. Our second reunion in 1991 was also in Vail at the Sonnealp Inn where we had individual Alpine rooms. Shannon Roe Fox hosted a dinner at her lovely home. We offered hot air balloon rides, roller bladeing and LOTS of shopping! Even though it was September, we had SNOW! (Contributed by Cherry Hunt Fennell). 1980 - 1981 Our 268 members had a good time while involving themselves in such diverse projects as the charity bazaar and garage sale and the Spring "shape up" with the former staff of "The Greenhouse". Proceeds from the garage sale were donated to the Jeanne Braniff Terrell Scholarship Fund. This project was headed by Teresa Kinkaid. Gift contributions were also made to "The Family Place". The pace for the year began in September with a "tacky dress salad luncheon", continued through our Christmas party at the Belo Mansion, and concluded with our spring luncheon at the Dallas Country Club. 1981 - 1982 Early in the year we were assisted by the Braniff Auxiliary in a highly successful garage sale at the Braniff Maintenance Base. Our Project Chairman was Marge Williams. 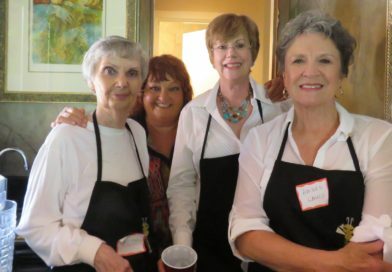 Other activities were donations of needed items to "The Family Place", a Sherry party honoring Braniff flight attendants who had flown over 25 years, and a Christmas party at the Belo Mansion. Presidents of other chapters were our guests at the Spring luncheon and style show. Mr. Howard Putnam, President, was the featured speaker. Exactly one week later Braniff filed for bankruptcy and ceased operations on May 12, 1982. 1982 - 1983 We were happy to welcome as members a number of flight attendants who had become "exes" when Braniff ceased operation in May. Our two fund-raisers, a garage sale in the Fall and a wine tasting in the Spring, provided funding for Jeanne Braniff Terrell Scholarships. Projects were chaired by Susan Allen. We also prepared Christmas trees, dinners and gifts for five families from "The Family Place". Tom King, our BI sponsor, and Margaret Kincaid, Flight Attendant Instructor, were invited to be honorary members. 1983 - 1984 Our social activities this year began with a summer barbecue followed by the September salad toss welcoming new members. The Pan Am World Wings were our guests at the December Sherry party, and the winning name for the charity project dinner was drawn at our lovely Christmas dance. The year concluded with the May gourmet luncheon and style show at Bent Tree Country Club and the great national convention in San Antonio. Proceeds from the charity project were donated to the Jeanne Braniff Terrell Scholarship Fund. Clothing and many needed items were collected for "The Family Place" and 28 Easter baskets were delivered to the children. It was an exciting year, with the November 28th VIP champagne luncheon and roll-out of BRANIFF #2 on March 1, 1984 when the Braniff planes once again took to the sky. 1984 - 1985 This was an exciting year seeing Braniff in the air once again and, by the end of our tenure, they were doing extremely well. The Clipped Bs added many volunteer hours in being a part of Braniff's success. Teddi Weil chaired our gourmet dinner for 10 and the Clipped Bs planned, bought, prepared and served the gourmet dinner to the lucky winner, with the proceeds of $5,000 given to our recipient, the Dallas Visiting Nurses Association. This check was presented to their representative at the May luncheon at BrookHollow Country Club. Mr. Ron Ridgeway, President of Braniff, was our speaker. Many exciting programs and lots of good fellowship ended our year with Dallas hosting the Clipped B national convention at the Granada Royale Hometel. 1985 - 1986 Following a festive evening with our husbands and dates at Joe T. Garcia's for a Summer party, our year began with the annual super salad toss in September. It was ever so gratifying to see Braniff post a profit under the capable leadership of President, Ron Ridgeway. We were able to continue with our volunteer coffee service at DFW and added volunteer hours to our otherwise busy schedules. Under the direction of a most competent project chairman, Carolyn Cotten and her wonderful staff, we undertook the task of publishing a new cookbook. We decided to make this a two-year project with a contribution to the Make A Wish Foundation for this year. Some of our members who enjoy the heat and are athletically inclined gave of their time to help with the first annual Frank Glieber Golf Tournament held at Glen Eagles Country Club which benefited Cystic Fibrosis, Make A Wish Foundation and the Frank Glieber Scholarship Fund at SMU. Another first for us was a Kaleidoscope tour of Dallas as one of our meetings. This was a grand bus tour of Dallas with our own members as tour guides, and of course, being very innovative, our hospitality chairman saw to it that we had lots and lots of refreshments on board. We eagerly anticipated a fun-filled Clipped B convention in September, hosted by the Kansas City Clipped Bs. We welcomed San Francisco as a new chapter. 1986 - LAX The Chapter in the Los Angeles area was formed in 1986, and while membership was small, we treasured our memories of Braniff and the hours we provided to them. Judy St. Sure was the first President in LAX and members were faithful about attending reunions across the country. We hosted a reunion in Scottsdale in 1988 at The Embassy Suites. We offered tours to Sedona and Scottsdale and even the 105 degree heat (in May!) didn't keep us from a grand time. The "sunburst" T-shirts that we painted were a big hit! (Contributed by Charlotte Kiper Sheffield). 1986 - 1987 The year began with a brunch at Willow Bend Polo Club and a show of fashionable furs. The convention hosted by Kansas City, on September 19-20 was outstanding in every way. About 50 from Dallas attended. Three of our talented husbands, Bob Moses, Phillip Russell and Ron Elliott, were speakers at meetings. Seeing the China Exhibit and touring Old City Park rounded out our year of programs. Summer of '86 found us at Tony Roma's for ribs and the Christmas party was at the home of Avionne Ribelin. This year we had two meetings for our working members, a Sherry party in December and an informal get-together in April. Selling our new cookbook was our on-going project. In addition, the members brought food and clothing to every meeting, which were taken to the Maranatha Cambodian Church and the James Fannin School. In December we provided kits for expectant mothers. The year culminated with our May luncheon at Royal Oaks Country Club with a style show of antique clothes by Goodwill Industries. Our membership reached 273 and we are 40 years young. 1987-1988 Once again, we proved "Clipped Bs wann'a have fun" and from July - May we had fun! A western party in July kicked off our club year in true Texas style. A Holiday Party at Martha Baker's added Clipped B Christmas cheer to our holiday season, and our Spring luncheon at the Crescent Club concluded our year in elegant style. In between the parties we were inspired, motivated and entertained by speakers Edna Gardner White, Cindy Brinker and our own delightful Dolores Olson, to name just a few. Several members and their spouses learned CPR under the expert guidance of Clipped B, Diane Reid, and her brother. We plan to offer CPR training yearly. The Dallas CAN! Academy gratefully received $3000 from our fund-raising efforts. After their very grateful acceptance and heart-warming testimonials from two of their graduates, I question who was more grateful -- those who received the funds or those of us who were able to donate them. As Clipped Bs we feel very good about our support of the life changing Dallas CAN! Academy. And last but not least, we convened in Scottsdale for the 1988 Convention. One hundred and five degree temperatures didn't stop us; we just kept on having FUN. It was a very good year. We had fun, we learned, we helped others -- in other words, we again celebrated life! Here's to the memories, the friendships and the celebration. May they always continue. 1988 - 1989 Our social activities began with a 50's party at Chapps Café, followed by the September salad toss. It was a year involving several of our own talented Clipped B members as monthly speakers…Nella Phillips, Cathy Sims, Doreen Christensen and our honorary member, Margaret Kincaid. 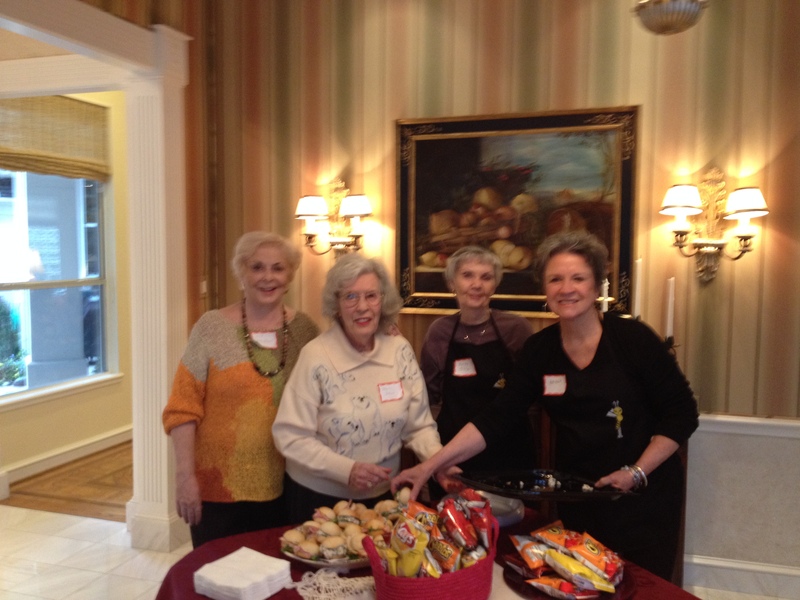 Our Christmas Sherry party included an arts & crafts sale, chaired by Fran Jamieson, which netted $2,000 for Dallas CAN! Academy. Our year concluded in style with a beautiful Spring luncheon at the Marriott Mandaly at Las Colinas. While we weren't surprised, we regret seeing Dallas-based Braniff move its headquarters to Orlando, Florida this May. Just look at what the Clipped Bs have done! And, there is more to come! 1989 - 1990 Houston Bs hosted our September convention in Galveston. In November, Braniff ceased operations for the second time, citing huge business losses. We again welcomed those who had suddenly become "exes". Meetings were held at the Silver Leopard, Gabberts and a tour of the Wendy Reves Collection at the Dallas Museum of Art. In the Spring, we made a three-day trip to Fredericksburg and the Oberhelman Vineyards. Funds were provided for the Jeanne Braniff Terrell Scholarships and we restored our silver service to mint condition. At our May luncheon at the Energy Club, a check for $3,147 was presented to "Our Friends Place". 1990 - 1991 We miss our Braniff in the skies, but we still have each other! (Our thoughts of the year.) We had exceptionally creative programs this year: Musical Revue, Airline memorabilia, creative dressing, window and home decorating and much, much more. Our first Oktoberfest was a great success. A fabulous Christmas party at Love Field brought back lots of memories. Our elegant Spring luncheon held at Park City Club was a very happy event laughing with comic singer Lu Mitchell. Our charity check for $2,000 was presented to "Our Friends Place" from Project Chairman Cleota Hartfelder.